The Black School will lead a tactic-specific session on arts activism for an intergenerational audience, culminating in a presentation at Black Love Festival NYC at the Sugar Hill Children’s Museum of Art & Storytelling. Participants will identify a shared community goal and collaborate in art-making and direct action toward achieving it. This is a free workshop series and space is limited. To apply, email season@newmuseum.org and describe briefly why you are interested in participating and your commitment to attending Black Love Festival NYC 2018. 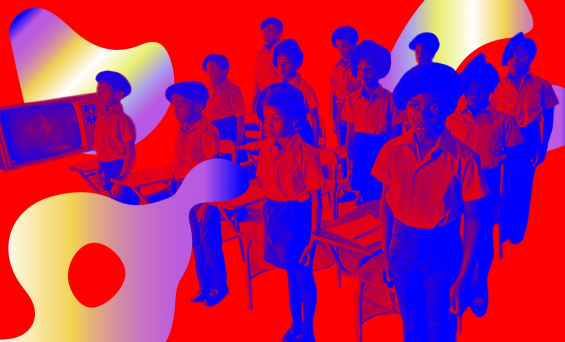 Black Love Committee is organized in conjunction with the New Museum’s summer art and social justice residency and exhibition “The Black School x Kameelah Janan Rasheed,” which explores the past and future of critical black pedagogies.